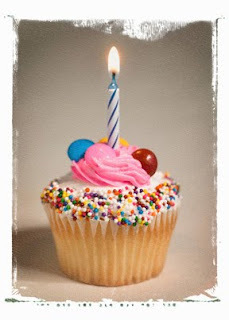 Today is the 1st anniversary of my venture into blogland. Back when I first started writing my blog I wasn’t sure why I wanted to write, it wasn’t that I had a burning desire to be a writer or anything like that. After I sat down and thought about it, it was obvious. Ask any of my friends and they will confirm that I am a bit of a talker. I live with Shane – who is very quiet, Dad who is also very quiet cause he sleeps most of the time and none of the animals say much either. So this was my way of getting all the stuff I would normally talk about out. I wasn’t sure if I would keep it up as I am quite a procrastinator and also usually stop doing things before it has been completed. Also who would have thought – I didn’t – that I would meet people online that I now regard as my friends and look forward each day to see what is happening in their lives and listening to their wonderful stories they tell. Looking back a lot has happened in my life during the past 12 months but also nothing has happened – go figure. OK here’s looking forward to the next 12 months and sharing our time together. ** "Davine Time" update - Cooked one of my fav. meals for my dinner - Chicken Vindaloo - woo it was really hot too!! Happy Birthday Davine. Gosh I had no idea you had'nt been at this for a much longer time. My blogland birthday is in May. We're almost newbies together. Dont' you just love the neighborly feeling and friendship possibilites of this venue? I look forward to the journey towards the your next bloggie birthday and getting to know you better. Wow Linda I would have thought you had been blogging longer than that as well. I am really blown away by neighbourly feel as well. Happy Blog Birthday!! I forgot to celebrate mine!! Looking forward to celebrating more with you! Happy Birthday, "53 Buddhas"! My life is certainly richer from having been able to hang out in the blogosphere with you, Davine! I know what you mean by saying "a lot has happened" and "nothing has happened." Life just keeps on keepin' on! Thanks all - heres to the next 12 months.